NOSTRADAMUS AND MABUS, OBAMA AND ABBAS? 5773 Hebrew Calendar Year Ends on SEPT 4 2013, and SEPT 5 starts 5774. The Bible Code warns that W.W.III vs ISRAEL will be underway before SEPT 5 2013 and seems to parallel the Prophecy of Nostradamus and Obama. Could OBAMA (USA) and Mohammed ABBAS (PLA) be "MABAS" = "MABUS" who will trigger W.W.III IN SEPTEMBER 2011? MAY 2011: ABBAS joined with HAMAS Terror Group in an Alliance against Israel. ABBAS filed the United Nations Resolution calling for a Palestinian State with 1967 Borders. This vote will take place in SEPT 2011 and if passed, will trigger W.W.III and the Start of the Biblical Apocalypse. As of MAY 01, 2011, the Muslim World, Russia, China and The EU is against Israel. All that stands in the way of W.W.III is OBAMA voting against ISRAEL in SEPT 2011 at The United Nations. MAY 19 2011: OBAMA radically changed USA Policy and turned against ISRAEL. OBAMA aligned with ABBAS in demanding that Israel accepts a Palestinian State with 1967 Borders. This would leave Israel with indefensible borders and Israel would be devastated by wave after wave of Thousands of Hamas Terrorists. Finally, Israel would be "herded" into their southern region where as one Iranian NUCLEAR missile would vaporize them and leave Jerusalem- untouched. (THE MUSLIM MASTER PLAN OF MABUS = OBAMA + ABBAS). OBAMA + ABBAS = MABUS (MABAS). MAY 27 2011, OBAMA gives Egypt and the Muslim Brotherhood (a terrorist org) $20 BB billion dollars in AID as ABBAS and HAMAS makes a Treaty with EGYPT who then opens the RAFFA Gateway for hamas terrorists to freely travel into Egypt and gain weapons and explosives to escalate attacks on Israel= AS WE COUNTDOWN TO SEPTEMBER 2011. This timed Muslim "Collusion" between OBAMA & ABBAS certainly spells "MABUS" and a great threat to world peace and security. This SEPT 2011, United Nations, led by OBAMA and ABBAS = MABUS, will attempt to force a Palestinian State with 1967 Borders upon Israel... which will force Israel to attack Iran and remove the greater threat of their nuclear program= that will then trigger W.W.III and The Start of The Apocalypse. IF OBAMA GOES THRU WITH THIS ANTI-ISRAEL VOTE, THEN OBAMA & ABBAS IS "MABUS". THIS ACTION WILL TRIGGER W.W.III AND THE START OF THE APOCALYPSE= EXACTLY AS NOSTRADAMUS PREDICTED. and ABBAS and with the year 2010 AD (5770 Hebrew). AMERICA who watches in fear and silence.(GEN:12). According to Nostradamus, there are "three antichrists" to come, three persons who will cause world war. The First Antichrist was NAPOLEAN, the second Antichrist was HITLER and the third "Antichrist" is an Enigmatic Muslim Terrorist named MABUS who will trigger W.W.III. Nostradamus then says after MABUS triggers W.W.III, he will be defeated and a great Spiritual Leader (savior) will "come" to earth who will bring about a spiritual transformation and the golden age of mankind, a time of peace and brotherhood. According to The Bible, this coming Spiritual Leader is the Biblical Antichrist, THE BEAST of REV:13 who will lead a Second Holocaust against Christians and trigger cataclysmic destruction upon earth, the Judgment of God. So those who follow Nostradamus will accept The true Antichrist, when he comes, as the savior of the world and herein lies the DECEPTION of Nostradamus. Although Nostradamus is a false prophet and of satan (according to the Bible) The Mystery of MABUS may still hold the key into how much time is left until the Biblical Apocalypse and the answer to this question could be, FOUR MONTHS. Now lets take a look at the Five MABUS Quatrains of Nostradamus and compare them to OBAMA as we Countdown to SEPT 2011 and The United Nations Vote. MAY 23- May 30 2011: OBAMA (as half of MABUS) after turning against ISRAEL (May 19 2011) Obama entered Europe to kick off his G-8 Euro Tour and is traveling thruput Europe. The Turban could symbolize Islam, that Obama is a "secret" Muslim and Terrorist Supporter and BLUE symbolizes that Obama is the head of the USA Democratic (blue) party. to the Italians thru Babel." a). Hannibal worshiped Baal who brought "fire down fire from heaven." This could mean OBAMA and his non stop PREDATOR DRONE strikes and the slaughter of innocent Pakistan and Afghanistan men, women and children as Obama=MABUS reigns "fire from heaven" down upon them in the hopes of killing a Taliban Leader. b). The Italians (Vatican) will learn of this horror thru Babel (modern day Iraq) when the Truth is revealed as to the thousands of innocent women and children that OBAMA= MABUS slaughtered and worse, of the Millions killed in the coming war that MABUS = OBAMA + ABBAS will trigger. c). Hannibal was a black general from Africa and Obama is the first black (illegal) USA President who was born in Kenya, Africa and is now the "Commander and Chief" of the United States Military. a). The Great World War that envelopes the Mid-East in fire, death and plague will be the RESULT of MABUS = (OBAMA & ABBAS) causing W.W.III because of their SEPT 2011, United Nations Vote against ISRAEL, Forcing Israel to attack Iran to end their nuclear threat (and the nuslim Plan to herd Israel to the south and then be Nuked by Iran). b) "Vengeance coming from a hundred hands" = is the waves of Muslim Terror Attacks launched against Israel, Europe, USA and Canada when W.W.III starts against ISRAEL and a Muslim "Holy War" against The West is triggered". c). "Mabus will soon die". Once MABUS (OBAMA + ABBAS) votes against Israel in SEPT 2011 at The United Nations and triggers W.W.III, MABUS (OBAMA & ABBAS) will be Assassinated, to increase the world chaos and terror and escalate the raging war in the Mideast as the Muslin Nations (triggered by MABUS) come against Israel. What is more ominous is that Nostradamus seems to have predicted this massive military attack (response) against Iran by a United States President = "the west" to follow up Israel's initial strike against Iran. With MABUS suddenly assassinated (OBAMA & ABBAS killed), VP JOE BIDEN would suddenly be President of the USA and following his heart and support for ISRAEL (and not having Obama's Pro Muslim, Pro Hamas mind-set) President Biden would launch a massive Attack on Iran and possibly Egypt to Protect ISRAEL, his friend and ally. The near passing of A COMET is intregal to all of the Apocalypse Predictions of Nostradamus concerning MABUS and W.W. III and a Comet is coming as we countdown to SEPT 2011. According to NASA, OCT 2011, a bright comet named ELENIN will make a near pass of earth. Could this be the Comet that passes when MABUS = OBAMA= ABBAS triggers World War III? There is much mystery and controversy surrounding Comet Elenin and OCT 2011. Many Astronomers believe that NASA is downplaying the threat that ELENIN poses to the world. COMET ELENIN may be much larger and come much closer to Earth than NASA claims. Some even speculate that Comet Elenin could really be the ancient Comet-Planet, Planet X or NIBIRU... or that Elenin is really a small, Brown Drawf Star has entered our solar system as a run-away "Comet". IF COMET ELENIN COMES TOO CLOSE TO EARTH, IT COULD TRIGGER MASS THIRST AND FAMINE, IF EARTH IS SCORCHED. There is a 99 percent chance that MABUS = (OBAMA + ABBAS) and that in SEPT 2011, Obama make "history" when he votes against ISRAEL at The United Nations, calling for a Palestinian State with "1967 Borders". This is the new Obama Policy and nothing suggests that Obama will change couse as we approach SEPT 2011. WHAT WILL HAPPEN IF OBAMA VOTES AGAINST ISRAEL IN SEPT 2011 at THE UNITED NATIONS? 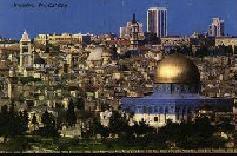 When ISRAEL ATTACKS IRAN, this will be the signal for HAMAS to blow-up The Dome of The Rock Mosque (in Jerusalem). This terrorist act will be blamed upon Israel and JIHAD, Holy War will be declared. War will explode across Jerusalem as Moslem Armies race towards Israel from all sides, starting with a non stop missile attack launched from hezbollah in Lebanon. Terrorist cells in America, Canada, Europe and Israel would launch attacks against shopping malls, supermarket and schools and TERROR WILL FILL THE STREETS OF THE WESTERN WORLD. This would trigger Global Anarachy and Panic as Foreign Investors pull their 52 percent funds from the USA stock market and it will crash like a lead balloon = GLOBAL ECONOMIC COLLAPSE! As chaos spreads world wide, it is possible that RUSSIAN fighter jets may clash with USA F-18's, bringing the world close to nuclear destruction. China may also take advantage of the chaos and invade Taiwan. AND SHOCK AND PANIC BRINGS THE WORLD TO A HALT. (predicted in Bible Code). ANTICHRIST IS REVEALED AS THE NEW MESSIAH TO SAVE THE WORLD FROM NUCLEAR WAR AND BRING ABOUT THE KINGDOM OF GOD, THE NEW AGE OF MANKIND. Antichrist may even "land" in A Spaceship as mass UFO sightings are seen all around the world. (predicted in The Bible Code). Antichrist (As False Messiah) presents a Peace Plan to Israel and The Moslem nations that involves Israel rebuilding their Temple in Jerusalem, a One World Government and Economic System, all based upon a Satanic Theocracy (666). Israel and the world signs this U.N. sponsored PEACE TREATY and The Great Tribulation of Seven years starts that triggers a Second Holocaust and W.W.III. BE IT SEPT 2011 or in 2012 AD, The Good News is that JESUS is coming for his true followers, the Church of Philadelphia Believers (Rev:3:7) in The First of Two Raptures. WE CAN ESCAPE 666, this coming Holocaust. The two mistakes that Nostradamus scholars make about "MABUS". The First mistake is where Nost' speaks of great wars, disease, famine and a comet impact, soon after the "great cycle of the centuries is renewed". Scholars have mistakenly said this cycle renewed is the year 2000 (20 centuries) and nothing catastrophic happened in the last 10 years. Nost meant the "Great Cycle" or "Procession" (renewed) of Earth thru the 12 houses of The Zodiac that occurs every 26,000 years or 2600 centuries and will occur on 21 DEC 2012, the Mayan Year for "Doomsday". Nostradamus Scholars believe MABUS is a muslim warlord or terrorist who will launch a nuclear weapon at the west (America) and trigger W.W. III. As you will see, MABUS is an anagram for two world leaders whose policies and agenda triggers W.W.III, starting in the mideast. 2) The Lord has clearly hidden the date of the First Rapture in a series of possibility bible codes that completely agrees with Matt:24:36, "No man knows the Day or hour except My Father in heaven." COPYRIGHT © 1997-2011, HARRY WALTHER & ESCAPE 666 BIBLE PROPHECY REVEALED, All Rights Reserved.